Treasured Toys and Early Technology: Worth More Than Memories? What if you hadn't thrown away the old and clunky--but beloved--technology that littered your youth? Would your first cell phone, computer, or early Pong system be worth anything today? How about the pile of video games that you saved until your mother sent them to Goodwill because she didn't want to end up on an episode of Hoarders? Do you own a hidden gem and not even know it? In the world of collectible technology, the answer typically depends on the rarity of the item and the condition it is in. If you still have the box, the item is more desirable and commands a greater price, usually by a significant amount. If you were that oddball kid who bought a new toy and stared lovingly at the box without opening it … well, let's just say that you might be able to take a vacation if you're finally willing to part with it. Just how hard is it to find old gadgets, ancient video games, and early computers? A friend of mine recently commented offhandedly that he would stab someone to play Jeopardy on a 5.25-inch floppy disk. A quick Google search suggested that he could reunite with his cherished game for a couple of dollars and a bit of effort--and also stay out of prison. But old technology and vintage games aren't always quite so easy to locate, and they often cost significantly more than they did back in the day. Read on to learn about some of the hits that you might have owned, loved, and lost ... and to find out what they are worth today. You might want to make a trip to the attic to see if some of them are still around. 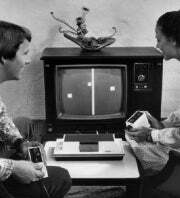 Many people remember Pong as the first home video game. It came in various iterations, as many manufacturers copied the Atari original. If you are still lucky enough to have the original Atari Pong C-100 system for home use, it could be worth $100 to $150 if it is complete in box with the inner packing and in working order, according to Pong-Story.com. 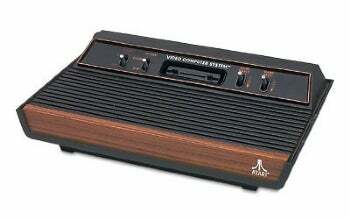 In October 1977, Atari released the video game console that would change the face of home entertainment and become an icon (it was #7 in PCWorld's "The Greatest Gadgets of the Past 50 Years"). The Video Computer System (VCS), later dubbed the Atari 2600, ranks right up there with other '80s favorites like padded shoulders, Hammer pants, and spandex. Because of the 2600's widespread popularity, though, many working systems are still around, and can be purchased for under $75. Models from the first year of production are more valuable. Unofficially known as "heavy sixers," these units were produced in Sunnyvale, California (later models were manufactured in Hong Kong). Though some owners may not even recognize the variations, they have a few key design differences that make them more valuable to collectors, including rounded corners and a thicker casing. Depending on the condition of the console and accessories, these systems can fetch up to several hundred dollars. Currently, prices for heavy sixers range from under $100 for the console alone to $1000 for a complete system with a low serial number. For more, check out this video explaining what a heavy sixer is. It is fairly unlikely that you happen to have an Apple I sitting around in the attic and aren't aware of its value (between $15,000 and $50,000)--but if you kept your Commodore PET 2001, you may be surprised to learn that it has become a collector's item, too. Though Commodore made four versions and sold thousands of these machines, acquiring a working model today can take some effort. Prices vary according to demand and availability at the time of purchase: Recently, an auction of a 2001-32 N model went for $285. 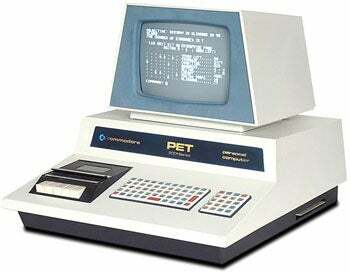 For more computer relics, check out PCWorld's "The Most Collectible PCs of All Time."